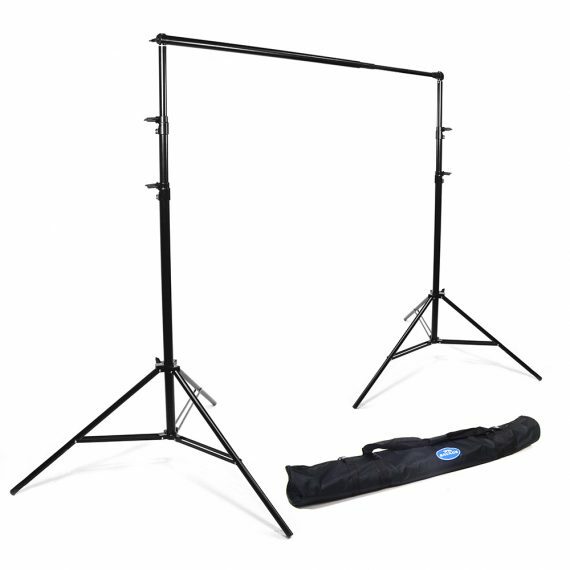 Savage Port-A-Stand | Beau Photo Supplies Inc.
Savage’s newly upgraded Port-A-Stand is a versatile yet compact and portable backdrop stand that collapses for easy carrying, making it ideal for both studio and location shoots. This strong yet lightweight stand can accommodate up to 107” x 12yd seamless paper or cloth backgrounds. The crossbar extends to 10’ 7” wide and collapses down to 52″. The air-cushioned uprights extend to 9’ 7” high and collapse down to 42″.